Home Vape Tutorials Beginners Are Vape Bands Worth Using? Are bands really functional or more for decoration? You’ve probably seen them on Instagram, Facebook, or even at your local vape shop. Are the silicon vape bands worthy of your tank? Or are they simply meant to show support for your favorite retailer? Vape bands come in a slew of shapes and sizes. You can purchase a pack of 20 for just a few bucks at various online retailers, and can even find versions that glow in the dark. Your local vape shop may give them away for free with the purchase of a new tank. 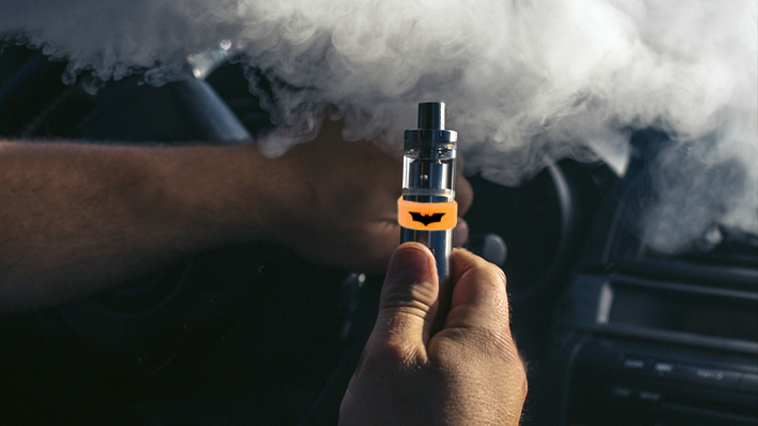 What makes this vape accessory so popular among vapers? Silicon bands can, in theory, be pretty useful. Much like a protective phone case, the rings are meant to save your tank or mod (but tank mostly) from destruction in the case of a drop — or at least that’s the thought anyway. But are they really capable of saving your gear? The vape industry has yet to come out with another means of protection for the glass on your tank. So for now, using vape bands is the only step you can take to save your topper from a fall. The primary material used for most of topper savers is silicone, not to be confused with silicon, and happens to have some interesting qualities. For starters, the material is soft and conforming at the same time, which means they fit around your tank perfectly. Secondly, polysiloxanes are heat-resistant. This allows them to be used on or around your vape without worry of melting. The soft rubber-like material has a slew of different uses in other industries as well, everything from sealants to cooking utensils. Silicone’s chemical composition is SI-O-SI-O, and is works as an intermediate in gas-phase chemical vapor deposition process. The complexity of silicone is definitely going to work in favor of your vape. And while it might not save the day every time, it’s the only option available on the market right now to protect that brittle tank glass. Bands are not intended to protect your mod directly, but do offer a bit of anti-slip grip to help avoid tip-overs and drops when picking the your device up and setting it down. For those active users, vape bands can be used when out and about taking a walk or hike as well. They’ll protect your tank while it’s sitting in your cup holder on your commute too, and that’s a big plus. For the money, you really can’t afford not to have a vape band. Even if you choose only to rock it when you think you actually need it, it’s better surely better than a new cracked glass on you tank. You can even find rings with the logos of your favorite superheroes, allowing you to express yourself while you vape as well. Your favorite companies often use them to market their brands, so if you have a favorite shop, they can be a good way to help spread the word! There’s no doubt about it, vape bands are worth it! So while we wait for someone to invent a protective suit for our tanks (come on, that would be awesome…), these cheap versatile accessories will have to do!